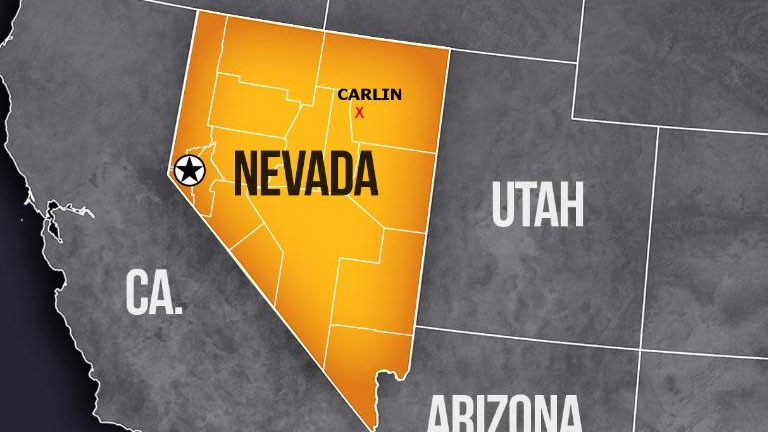 CARLIN, Nev. (AP) -- The remains of 13 Chinese men unearthed in northeast Nevada more than two decades ago will finally be reburied in the Carlin City Cemetery. The remains will be honored with a traditional Chinese ceremony Tuesday, the Elko Daily Free Press reported. The remains had been sent for archaeological study in 1996. "They will be laid to rest back where they should have been," said Margaret Johnston, a Carlin City Council member. The men were buried with artifacts like coins, matches, dishes and an opium pipe. The remains and artifacts were sent to the state museum for examination by physical anthropologists from the Smithsonian Institution. The remains were eventually sent to the anthropology department at the University of Nevada, Las Vegas. Johnston, other Carlin officials, and Lee Chin pushed the university to return the remains. Chin pleaded for the return in a letter sent to the university earlier this year. "It has taken far too long getting them home," Chin wrote. "Once again our Chinese ancestors are being dishonored by being treated like objects instead of being treated like human beings." Murphy picked up the remains from the university and drove them back to Carlin. "UNLV said they wouldn't be doing any more research on them, and they also didn't have a place for them in their physical anthropology department," Murphy said. Following the burial of the men, the city plans to display their artifacts through the Carlin Historical Society, Johnson said. "These 13 bodies will be laid to rest in peace forever," Johnson said.